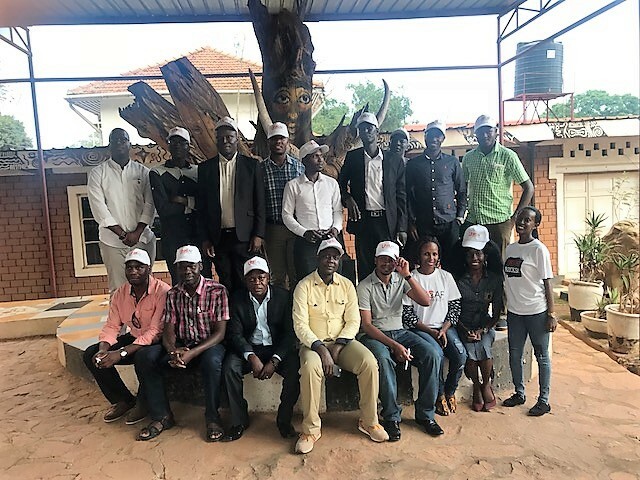 UNICAF students in Uganda were invited to an interesting get-together on the grounds of Uganda’s National Art Gallery, which is part of the Uganda National Cultural Centre. The Nommo Gallery features permanent collections and periodic exhibitions of works of art by both Ugandan and foreign artists. Situated in the heart of Kampala City the gallery offers an impressive selection of art masterpieces from paintings, batiks (tie-and-dye), ceramics, art prints, photographs and sculptures. The UNICAF spirit is spreading through Africa! 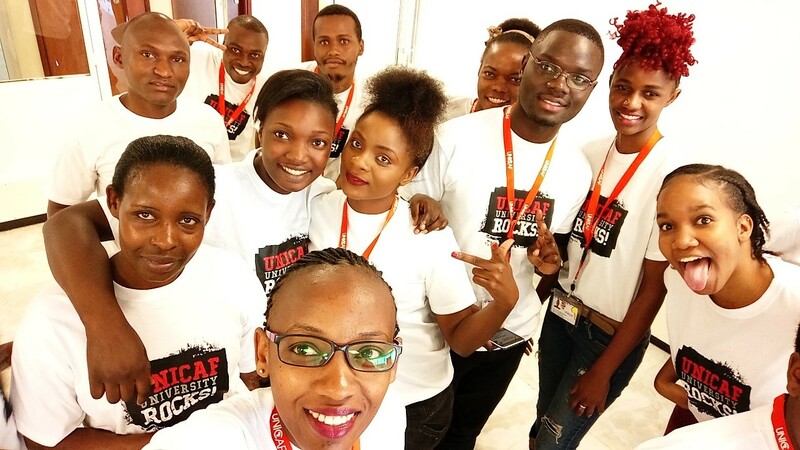 Student Advisers and staff in UNICAF offices in different countries celebrate Unicaf University by wearing funky t-shirts, with the slogan ‘Unicaf University Rocks’, on their casual dress day in the office. Here are some photos of UNICAF staff from Nigeria, Egypt, Zambia, Malawi, Kenya, Uganda, Mauritius and Ghana posing for the camera wearing the t-shirt. Most Egyptians are great food lovers and social outings in Egypt tend to concentrate around food. The Egyptian cuisine is very different to Asian cuisines, and even though most Egyptians in urban areas have heard of sushi, the majority never dare to try it. 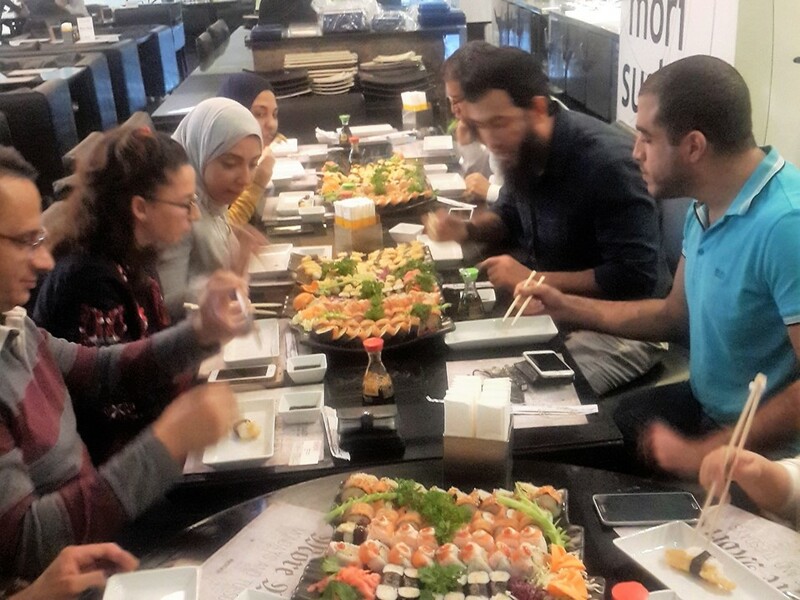 So, when UNICAF staff in Egypt decided to arrange a social event for UNICAF students, to get to know each other and mingle, their first choice of food was sushi, which is a new experience for the majority of Egyptians, just like studying online.